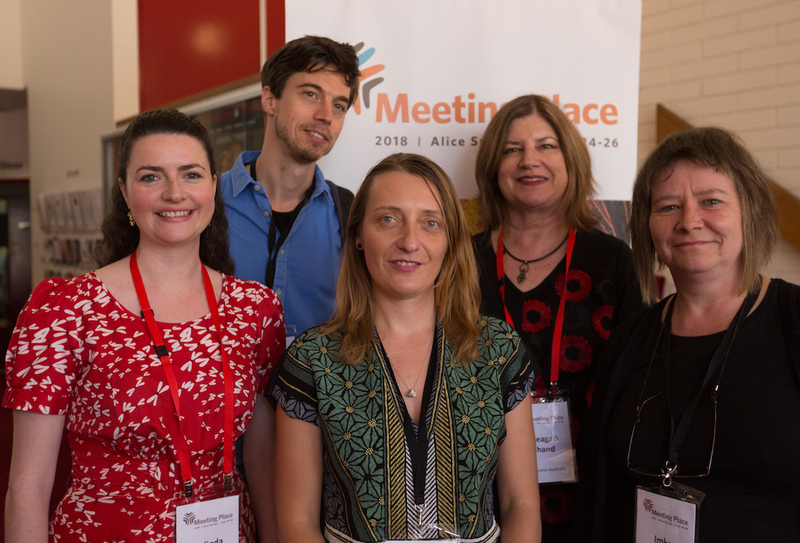 From September 24 to 26, the multi-day Meeting Place conference was held in Alice Springs, organised by Arts Access Australia, the umbrella organisation of Australian artists with disabilities. Two Berlin artists were also there. Annton Beate Schmidt asked them about their experiences. Article by Annton Beate Schmidt. Original article was posted on 9 November on Leidmedien.de. This article has been translated from German via Google Translate, and undergone minor edits by Arts Access Australia for grammar and spelling. Empowerment of disabled artists – that’s what podium discussions and workshops at the Meeting Place were all about. 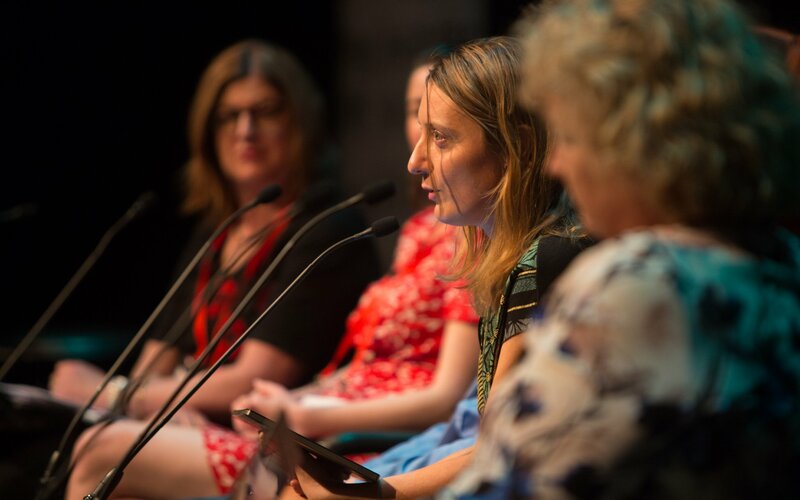 There was also a lot of discussion about artistic positions; for example, with Julia Hales, an actress and author, whose show “You know we belong together” took place at this year’s festival in Perth in front of a sold-out house. The participation of politicians at Meeting Place in particular made direct influence on politics possible. Likewise, Tony Grybowski, chairman of the Australian Council of the Arts to date, announced that over the next three years, over $ 750,000, or € 475,000, will be provided through a mentoring program and two newly announced awards for artists with disabilities. Thanks to the continuous work of the umbrella organisation Arts Access Australia and the commitment of all its local sub-associations. 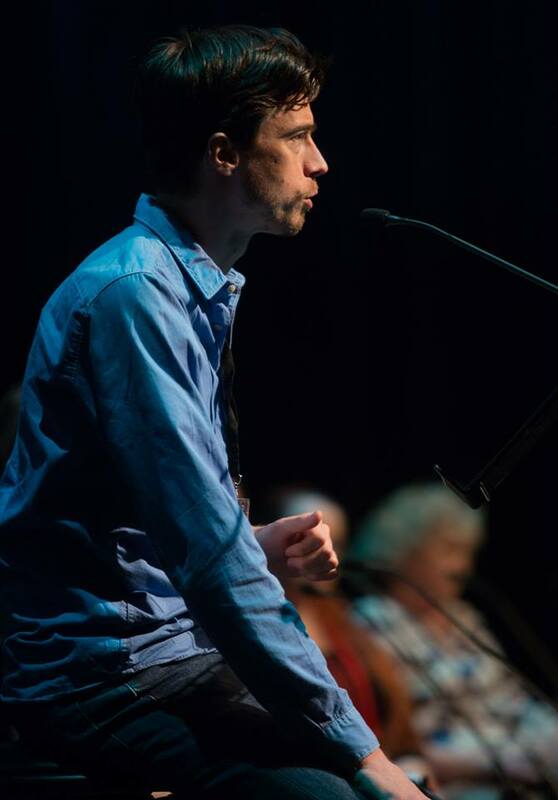 While the event has taken place from year to year in ever-changing places on the Australian continent, last year the conference traveled outside Australia for the first time and hosted the first international Meeting Place in Berlin’s Podewil. The one-day event offered a variety of opportunities to learn about the latest developments in disability art and artists with keynotes, interactive workshops and panel discussions. This year, two visual artists from Berlin, Dirk Sorge and Jovana Komnenic, had a great opportunity to pack their bags and first attend the conference in Alice Springs and then make their way to Perth. There, they visited DADAA – Disability in the Arts Disadvantages Artists in the Arts, a non-profit organisation dedicated to artistic development at the community level and presented an interactive exhibition. In addition to their work as artists, Dirk Sorge and Jovana Komnenic have also co-founded Berlinklusion. Berlinklusion is an initiative that aims to connect disability artists and sensitise institutions, such as museums, to the topic of inclusion, and to help them include people with disabilities in their concepts. In this capacity, Berlinklusion 2017 was also one of the partners of the Berlin Meeting Place, which was largely curated by Jovana Komnenic and her colleague Kate Brehme. The Meeting Place was sponsored by Diversity.Arts.Culture, the Berlin project office for diversity development and the Foerderband eV. “I knew from the cooperation in the previous year that I would expect a very professional and very warm-hearted cooperation,” says Dirk Sorge. He had been to Australia before and had a pretty concrete idea of ​​the country and its people. “It was a bit like driving to an old friend,” says the artist. There was not much time to ponder the imminent experience. In addition to the preparation of various workshops for the three-day conference in Alice Springs and the subsequent exhibition for DADAA in Perth, it was only shortly before departure that the financing of the exchange and visa barriers were overcome. It was not until the actual departure that it was clear that both Dirk Sorge and Jovana Komnenic could embark on the long journey to Down Under. The trip was made possible by Imke Baumann from Förderband eV ., The Goethe-Institut and the German Embassy in Australia. “In the run-up everything was very, very exhausting. As soon as these problems were solved, all tension fell off of me,” says Jovana Komnenic. Dirk Sorge, who among other things created computer programs that independently generate art, was particularly impressed by The Other Filmfest, organised by DADAA in Perth. This stood out for him particularly by its high professionalism and also by the broad international film selection.”In general, institutions in Australia focus less on the disabilities of artists, but on their work. It is more customer-oriented and there are loud demands for mainstream. The works of artists with disabilities should take place in the same places and within the same spectrum as those of their non-disabled colleagues,” he said. In addition, Dirk Sorge noticed how much humour and fun work is done, as well as networking is much denser with each other. Within the German cultural scene, many are muddling about and there are not even surveys on how many artists with disabilities are professionally active. In her artistic work, Jovana Komnenic uses to a great extent the medium of drawing or forms of artistic expression, each resulting from the theme of the work. She is firmly convinced that in Australia it is not the artists who show a different level of professionalism compared to Germany. For them, another environment makes the difference. A fundamentally more inclusive support of the environment changes the self-image of people with disabilities. “I hope that we manage to create more open spaces that give everyone respectful access. That people with different backgrounds can get into spaces where we are all just as we are, ” says Jovana Komnenic. Above all, Dirk Sorge and Jovana Komnenic agree that the associations of Australian artists with disabilities, be it Arts Access Australia or DADAA in Perth, interpret the concept of inclusion much broader than we generally do in Germany. Here, the term falls mainly in connection with school structures and the integration of children and young people with disabilities in regular school structures. There is the claim to give access to all people in all areas who feel excluded in any way, be it because of poverty, ethnicity, gender or education. This is a clear contrast to the familiar narrative “he or she has made it to the limit despite a disability,” to an approach that makes disability what it should always be: a mosaic in a large and diverse overall picture. Until the next Meeting Place, which will be held in Canberra from 1 to 3 December 2019, the exchange between Berlin and Australia will be intensified and common forms will be sought in order to further enrich this overall picture.